Over 90% of my past Guests who moved to CR are happy to give you the details of how their overall mental and physical health improved within a few months of the move without them doing anything special. Will you be in trouble to pay for expensive healthcare as soon as you retire? Ivo Henfling of the American-European Real Estate Group Costa Rica gets loads of daily emails, asking for more information on healthcare in Costa Rica, so he asked me to help out on this. 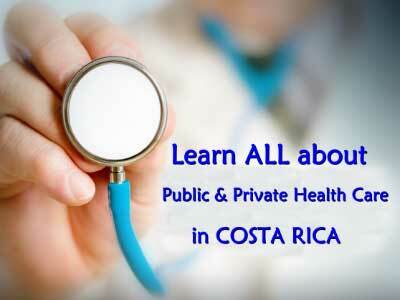 Good and affordable healthcare in Costa Rica is very important if you want to move to Costa Rica and retire here. 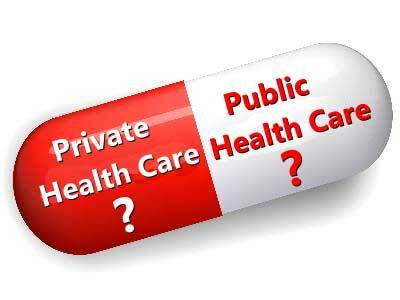 For that reason, public and private health care is probably #1 on your bucket list of issues that will decide if you will make the step or not. But how can you find out what is current and what is not? My wife and I would like to thank you once again for the warm and kind hospitality provided by you and your wife, Aija. Also introducing us to some wonderful people who we will never forget. The amount of information about Costa Rica you provided to us was much more than we expected, and I say that in a good way. Thank you so very much. You gave us a lot more to think about. I want to share with you our final experience in Costa Rica, which turned out to add more first hand knowledge about things to expect. On Friday, we decided to relax on the beach at Manuel Antonio, and my 20 year old mind convinced my 63 year old body to go boogie boarding. Bad move, as I broke my cervical in my left shoulder. Very painful. They had to send a medical evac plane to take me from Quepos to the Biblica hospital in San Jose. They performed surgery on me this morning at 1:45AM. Doctors did an awesome job. I feel much better. But it has given me one more reason to consider the central valley area, since they are much closer to the hospitals. Yesterday was a very long journey for medical care. Good news was we purchased travelers insurance which has paid for about 90% of total costs. Once again, thank you for the wonderful tour, and we hope we can meet up with you again next year when we return. Healthcare is one of the most important issues with which Expats want and need to become familiar. Like the weather in Costa Rica has “micro climates,” there are micro areas of Medical and Dental services. Coverage by the Social Security system (CAJA) is required to obtain Residency. Enrollment in the CAJA is relatively easy and there are no restrictions for pre existing conditions. There are small clinics all around the country as well as some excellent Hospitals staffed by some very capable and caring Doctors & Nurses. There are Red Cross units in most towns for emergency services and transport to Hospitals. There is Government controlled “private” insurance available from the INS. Enrollment for this is subject to strict restrictions on pre-existing conditions and you need permanent residency to apply. There are many private, International insurance options and most USA private insurance companies are glad to cover costs of quality medical and dental procedures here in Costa Rica due to the LOWER costs. 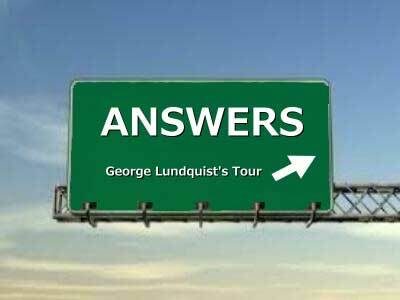 Register for my tour and you will find our all about those details. During my Regular tour we visit some of the Public and Private facilities and you will hear first-hand from past guests some amazing success stories that they are HAPPY to share. This allows my Guests to see up-close and personal so they can judge for themselves if they will have confidence in Medical and Dental care in a town or area before they decide to move. The quality and availability of services, like any other country, is distributed over a normal curve. That is, we have some not so good, the majority very good, and some excellent medical services. There are many “experts” opinions on the internet who generally report any “bad” experience as being typical. During the tour, we hear many actual experiences and costs from our network of Expats. For pet Owners, the Veterinary services in Costa Rica are excellent and low cost in most areas we visit on the tour. Our Guest Network is always happy to share their experiences and make recommendations. In my opinion, after living here and having received input from hundreds of past Guests for over 17 years and having gone through several Medical challenges like Vocal Chord Cancer, Thyroid removal, large Kidney stone removal, Global Temporal Amnesia, Cataract surgery, Glaucoma valve surgery, and several Red Cross and Emergency Room experiences, we are very pleased with the healthcare at very affordable costs. Quite often, I receive registrations for my tour from those who already retired and have lived in Costa Rica for a while and find out that they could have saved a lot of money by doing my tour. That’s when they make a great decision to sign up and learn about all that important information they receive on my tour even after moving to Costa Rica. As a liver transplant recipient, the healthcare here for me at both our EBAIS and Hospital Mexico has been amazing. My CT scan was as good as the 12 to 15 scans I had in the states. My life saving anti-rejection medicine, that I must take for the rest of my life, is made by the same company as I received in the states. The CAJA cost for us as a couple is 29,877 Colones per month. Amazing. I just saw on a news report that Blue Cross Blue Shield is raising its rates 60%. It was your tour that made so much of this possible. Without the tour and the overwhelming knowledge we learned about this amazing Country we would have never moved here, and would still be working instead of enjoying a relaxed and fun life. 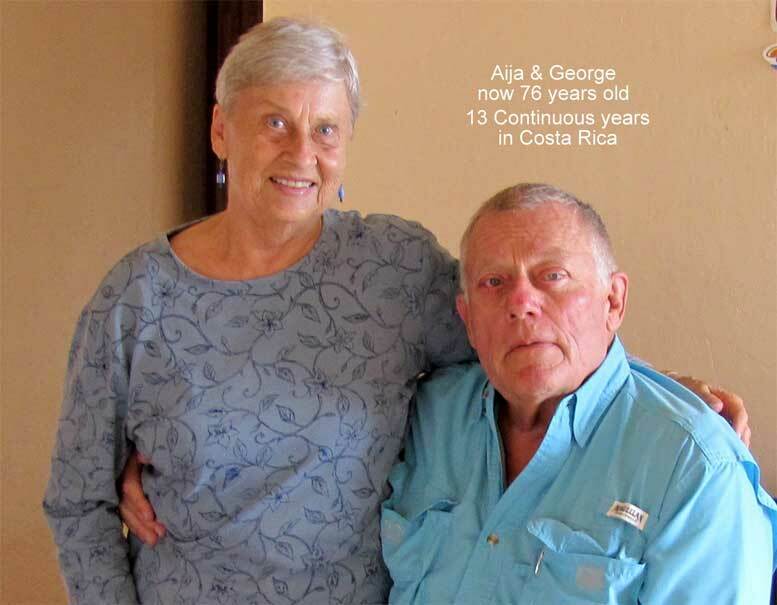 Guests from the August 2010 tour who moved to Costa Rica October 2012. They have rented in Puriscal and San Ramon and are still renting. 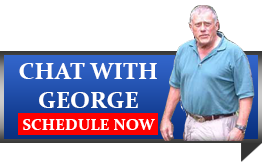 Don’t wait, sign up now for my tour “Retire in Costa Rica on Social Security” http://costaricaretireonss.com/reservations/ now.